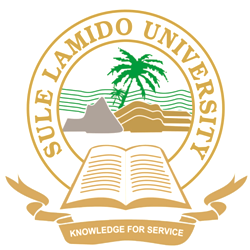 Sule Lamido University (SLU) IJMB Arts, Sciences, Social and Management Sciences Admission List for 2018/2019 Academic Session Published. The Management of the Sule Lamido University (SLU), Kafin Hausa, Jigawa State, School of General and Preliminary Studies (SGPS) as released the list of candidates offered provisional admission into its Interim Joint Matriculation Board (IJMB) programme for the 2018/2019 academic session. SLU IJMB admission list has been uploaded online. Prospective candidates can check their status from the list available available below.